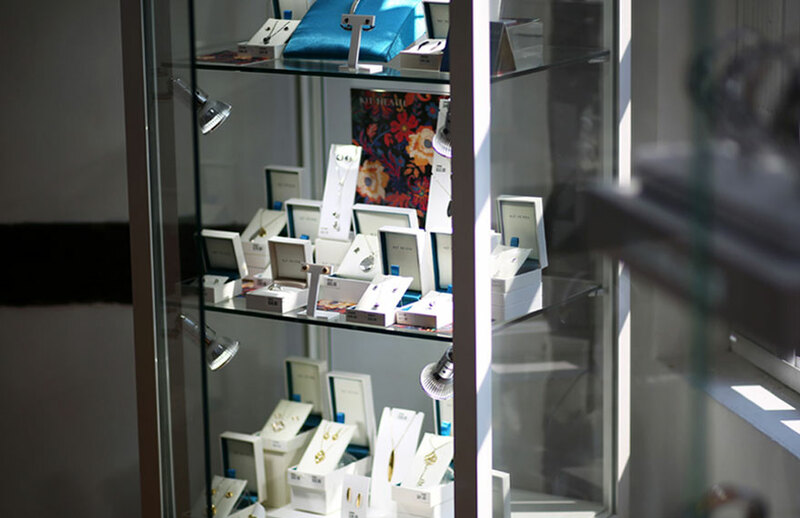 From first launching Hallmark Jewellers we have flourished and developed into a leading independent jewellers across the South Coast. 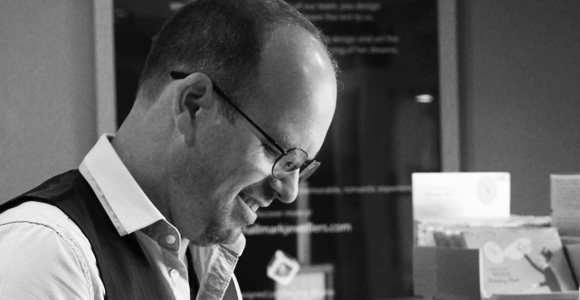 Mark has been in the jewellery business for all of his working life, he still gets a great thrill and sense of real privilege when asked to help with wedding and engagement rings. Mark's passion is having a business which delights our customers, and in which our team feel they can flourish and challenges them to be the best they can be. 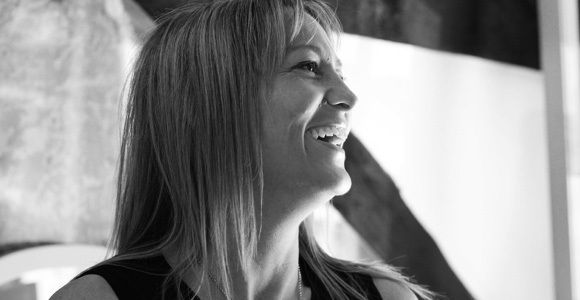 Andrea started as a Saturday Sales Assistant position at Hallmark Jewellers in 1997. Within 3 years, Andrea was made a partner. Andrea has projected the business forward with her ideas, along with choosing unique designers, which in turn has extended our ranges and increased sales. So much so, we needed a bigger shop! So in 2007 we greatly extended the premises to accommodate the increase in sales. Andrea is incredibly proud to have watched the business flourish from a two man team into a team of twenty. 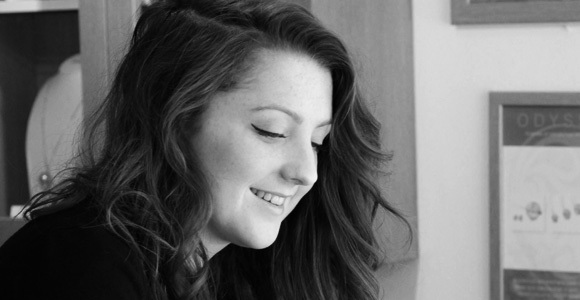 Laura studied Illustration at Portsmouth University, achieving BA(Hons). Laura joined us in 2007 as a part time Coffee Shop Assistant. We soon realised her creative potential and employed her in the jewellery shop as a full time Sales Assistant. Since that day, Laura has achieved A’s in Jet 1 and Jet 2, and has recently completed a design course in CAD (computer aided design). 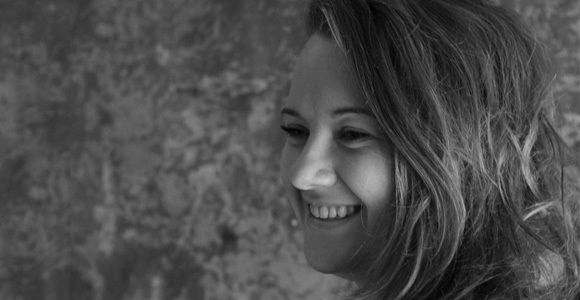 Laura is now our design consultant. Creating bespoke ideas and designs to our customers. Amy-Leigh started at Hallmark Jewellers in 2009 as a Saturday Sales Assistant after enjoying a two week work experience with us. 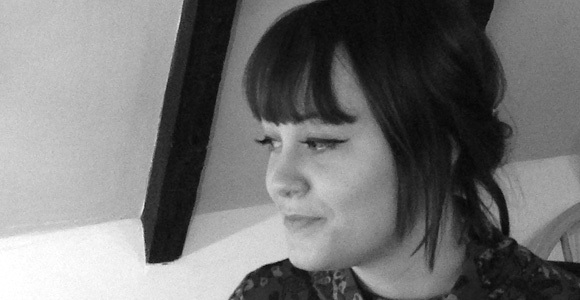 An opportunity for a full-time position arose for Amy-Leigh and so she joined us in 2012. Since then, she has achieved A’s in Jet 1 and Jet 2. 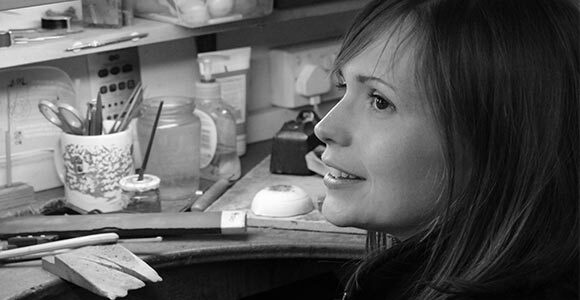 Alongside being a full time Sales Assistant, Amy-Leigh is now responsible for quoting our customers for jewellery and watch repairs, restoration and commissions. Kirsten started working at Hallmark in 2004 as a full time Sales Assistant and very quickly achieved an A in Jet 1. Kirsten has a creative role within the shop ensuring, merchandise is displayed attractively. In addition, Kirsten is responsible for, stock management, buying in new ranges and promoting our own Hallmark brands. After joining Hallmark in 2006 as a Saturday Sales Assistant, Kirsten then went on to complete a two week work experience with us. Then joined us full time. Since completing her Jet 1 course in 2010, Kirsten is now our Shop Floor Coordinator. Kirsten is responsible for customer orders, engraving, re-stringing and ensuring the shop floor is running efficiently. After leaving college, Melanie went to the University of Portsmouth and achieved a 2.1 in Product Design and Innovation. Jewellery making started as a hobby while studying at university. After gaining a degree, Melanie completed a City and Guilds, level 2, in jewellery Design and Craft. In August 2009, Melanie joined the workshop as an apprentice and now creates complex commissions and is currently starting to learn how to pave set. 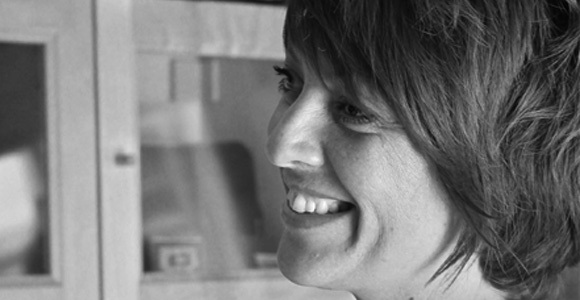 In April 2013, Melanie became the workshop manager. 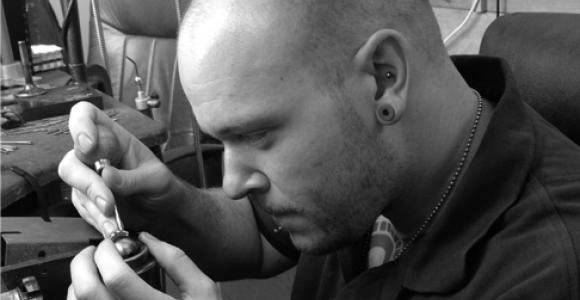 Rob grew up in Bognor Regis where, after completing his sixth form studies, he became an apprentice goldsmith for David Noyce jewellers in Chichester and Selsey. After being with the company for a couple of years Rob then specialised in stone setting and now has 8 years experience in this field. 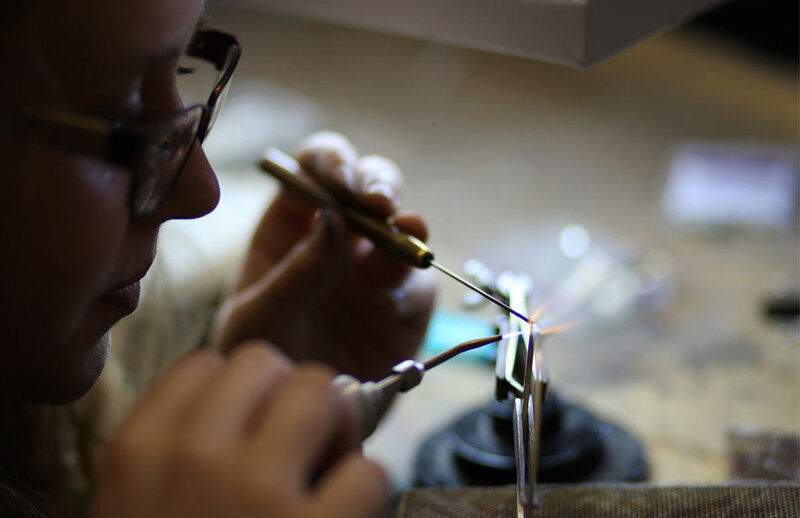 Rob joined us in April 2014 as a goldsmith and his setting skills are also proving to be an asset to our workshop. After leaving school Andrew went on to start an apprenticeship with a jeweller in Cambridge. After 5 years at apprenticeship level, he qualified as a goldsmith. An opportunity arose with us at Hallmark and Andrew joined our team in 2011. 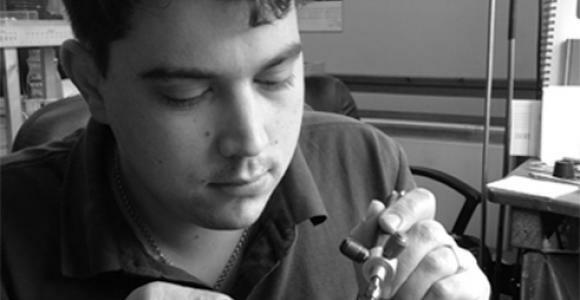 With his experience in goldsmithing and a passion for design, Andrew has brought invaluable skills to our workshop.